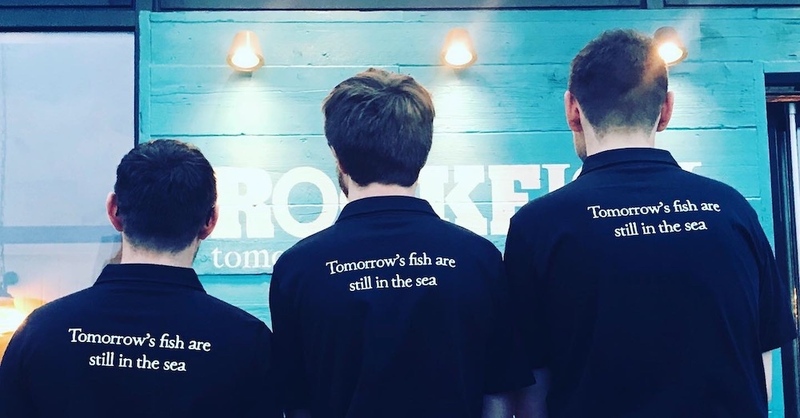 Exeter is the sixth Rockfish to join Mitch’s shoal (he also owns upmarket eatery The Seahorse in Dartmouth) so if you’ve been to any of the others, you’ll recognise the relaxed beach-shack feel and quality, freshly caught fish – Rockfish’s tagline is ‘Tomorrow’s fish are still in the sea’. 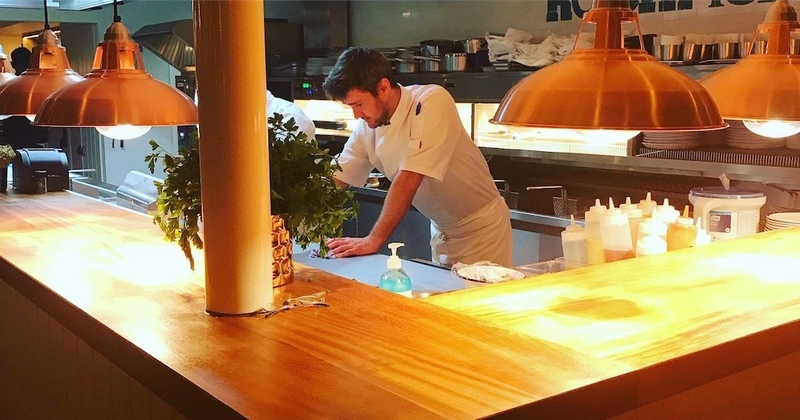 Mitch has a personal hand in designing each venue to suit the location so no two are exactly alike, and this one is the first to be built from scratch allowing him to capitalise on the quayside setting, moored as it is between the river and canal. With floor-to-ceiling sliding glass doors to three sides, it’s outdoorsy and airy, almost as if you’re sitting right on the quay. 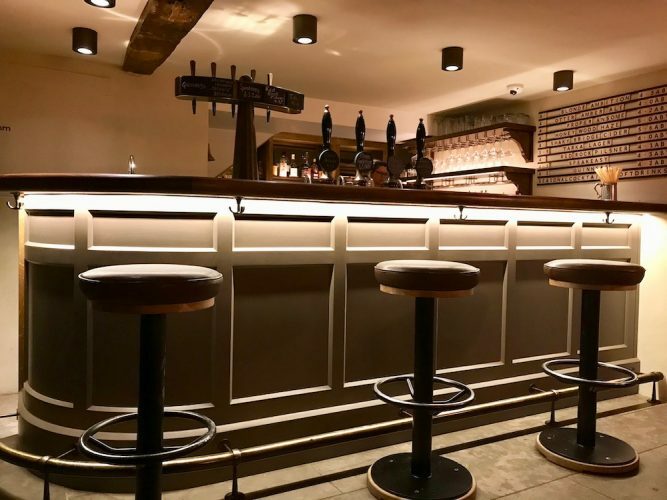 A mixture of comfy bench seating in a back-to-back central bay and roomy booths and corner seating for larger groups by the windows, it’s busy and buzzy with loads to gawp at – the theatre of the kitchen and grill, the quay and river life literally swanning by. 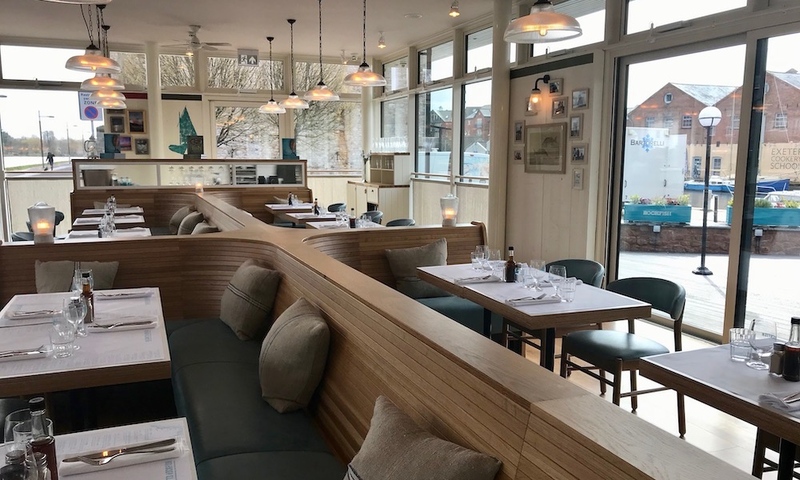 The decor is all elegant oak benches curved like the prow of a boat and comfy lagoon-blue cushions, with corrugated glass lights anchored by chains to the roof, casting a diffuse amber glow over the white tongue and groove and maritime maps as the day segues to evening. 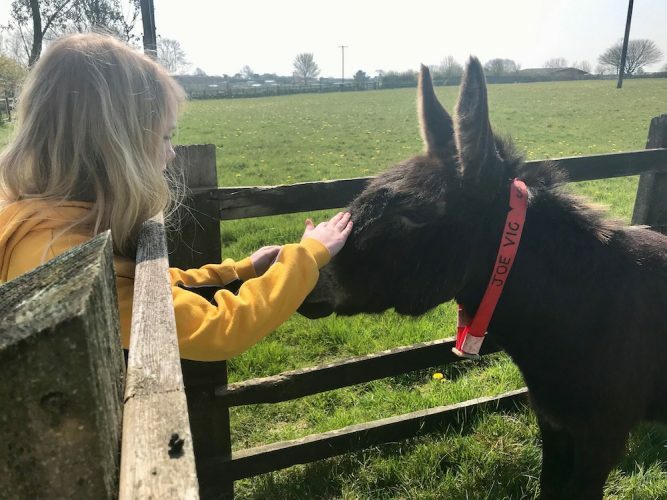 In summer (any day now! 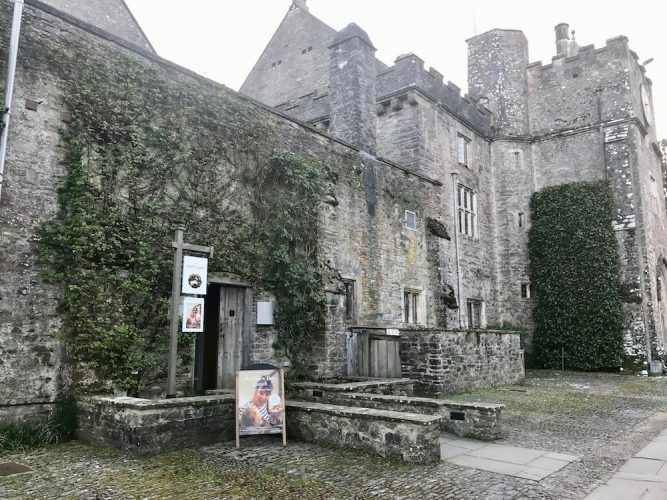 ), the glass rolls back to let in the breeze and there’s the option of sitting outside on French Fermob furniture on the south-facing terrace. 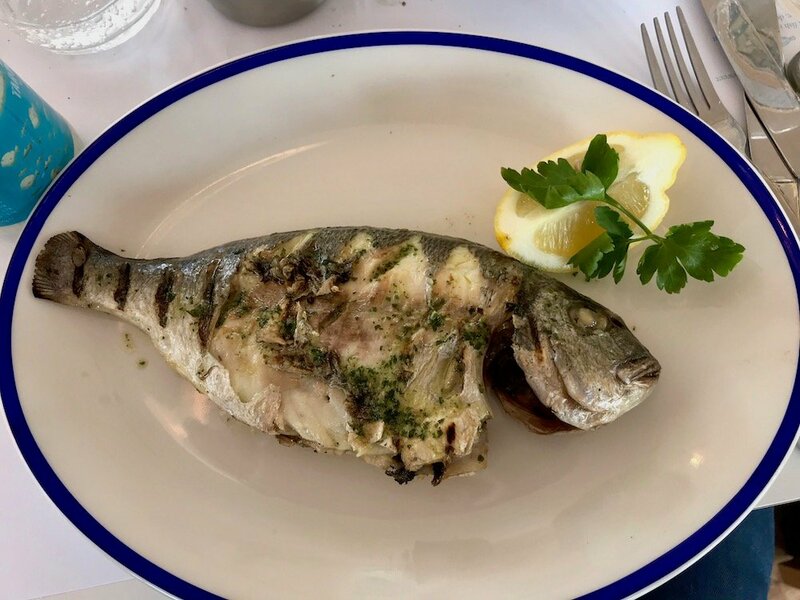 A big tick for to the friendly, well-informed waiting staff who reels off the local catch of the day and gives Mr Muddy and I the lowdown on everything we order. 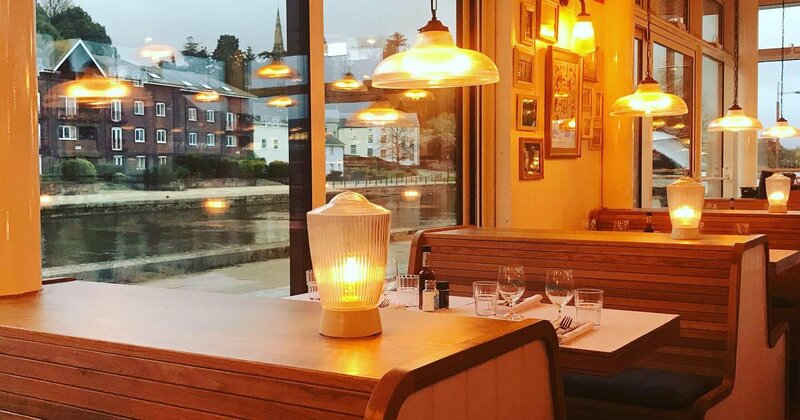 Though I’ve been to Rockfish Dartmouth many times I’ve always gone greedily straight for the classic fish and chips (blame the sea air), so it’s definitely time to erm, go upstream. 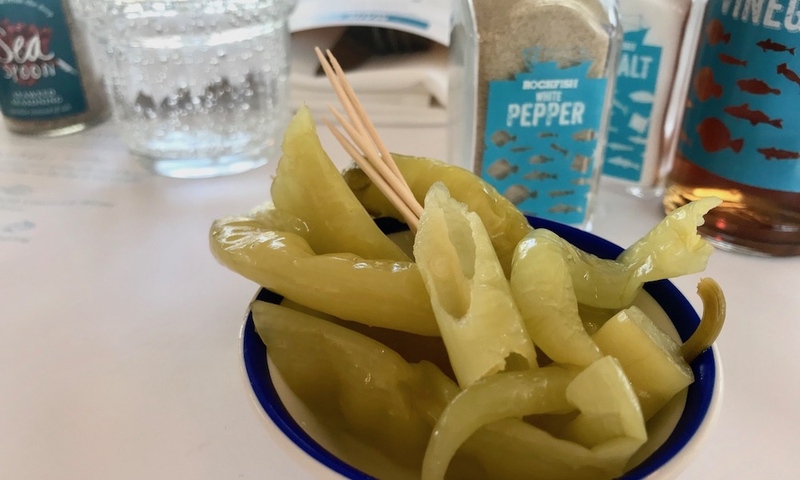 We’re offered a choice of a free sparkling or still carafe of water, and dive into a creamy appetiser of anchovy mayonnaise with sourdough to dip (fresh from Emma’s Bread just across quayside) and a surprisingly sweet and sour Guindilla peppers from Northern Spain. 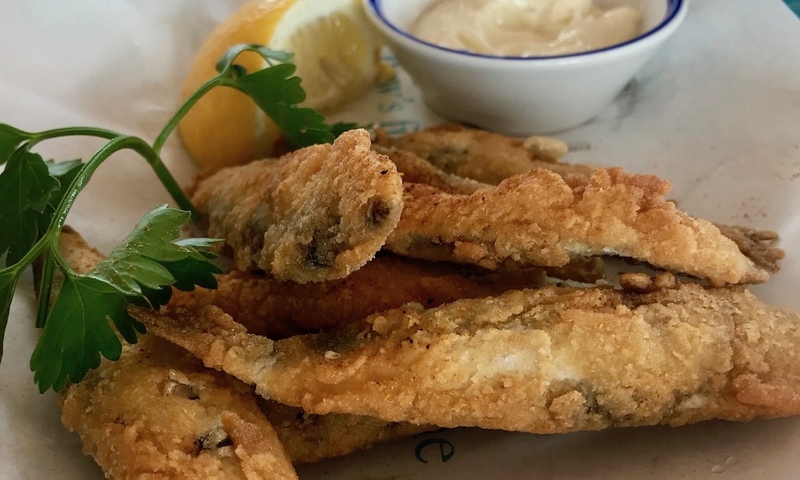 Feeling like we’ve already had one, starters is a shared plate of spicy Devilled sprats, which are crispier (and far taster I imagine) than a fisherman’s salty sou’wester – or as Mr M sagely observes, ‘what you hope for but don’t always get’. For mains, he opts for chargrilled sea bream with garlic butter (our waitress has helpfully highlighted today’s local catch on the paper tablecloth) – a big fishy, I have to say, on quite a large dishy, tasting like a more refined, melt in the mouth cod and served with unlimited chips and an impeccably dressed salad. My spicy battered cod tacos were just the right size and easy to wield without getting sauce all over me and came in their own cute taco holder, with a lime radish and red onion slaw, served with chipotle sauce and a delish chunky guacamole. 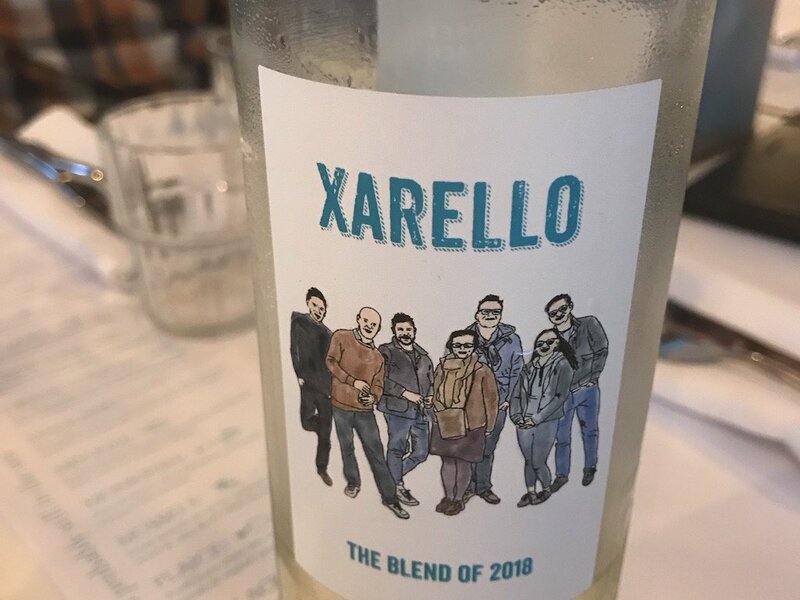 At this point we experienced something of a food high – though it could have been the very quaffable Xarello wine (of more which below) but we put it down to all the zingy lemon, lime, ginger and spices in our food. All very uplifting! 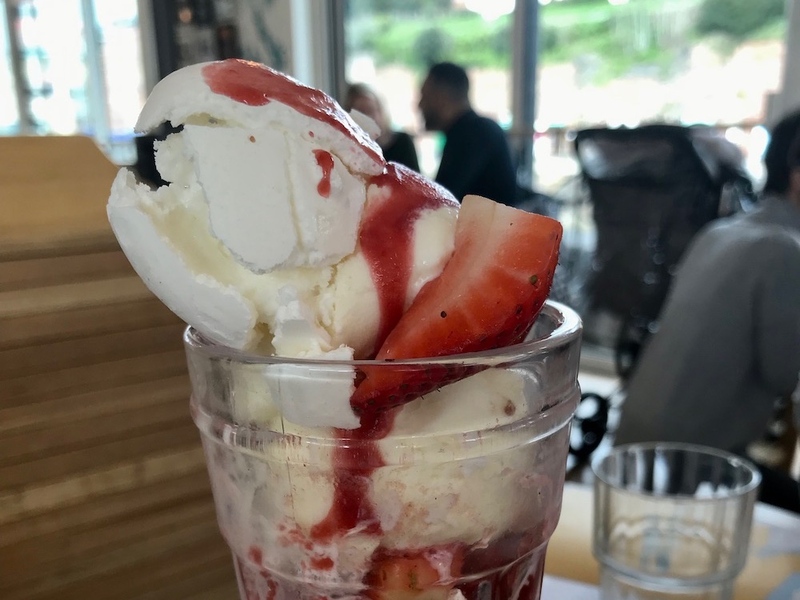 So although we’d already had three courses, I managed to bully Mr M to force down a deliciously juicy strawberry Eton mess while I scoffed a creamy key-lime pie with a sweet, sandy-biscuit base (and took surreptitious pics of famous chefs). Just going back to that scrummy white Xarello (don’t mind if I do!) it’s selected every year by a different group of Rockfish staff who travel to Spain specially. 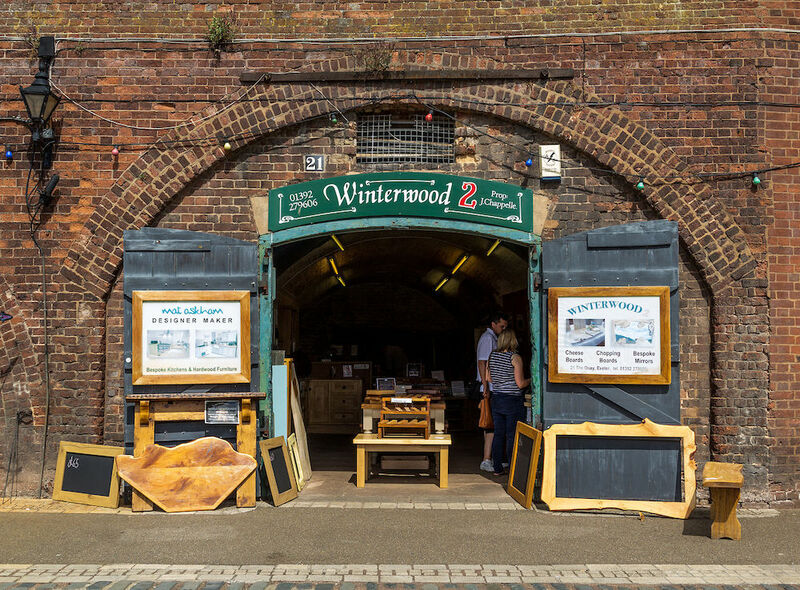 There are also local bottled beers from Salcombe brewery and Mitch’s own Heron Valley sea cider on draught as well as Plymouth Gin and a choice of four cocktails, including the tempting Rockfish red snapper – Isle of Wight tomato juice and a dash of tabasco and lemon juice – guaranteed to get you buzzing! Very. 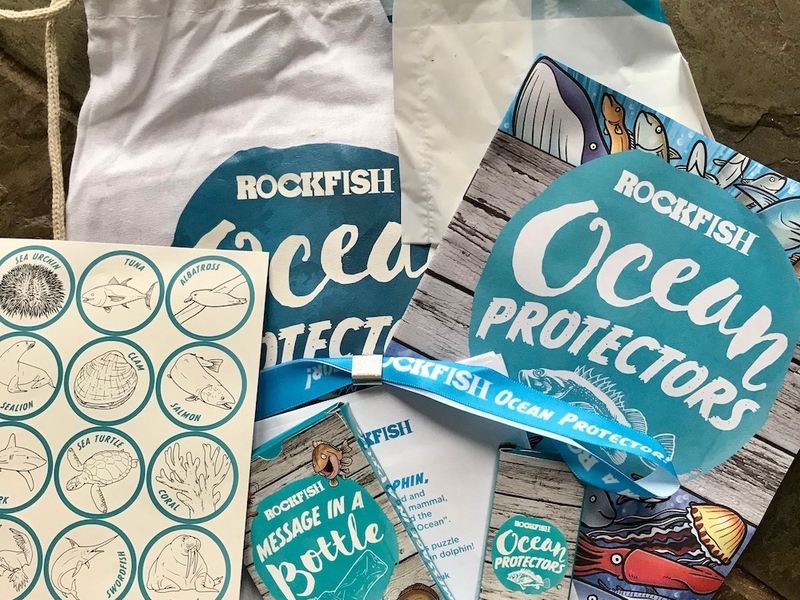 The children’s menu comes in at a reasonable £7.95 including dessert and a free environmentally-themed Ocean Protector in its own cotton rucksack with a pack of high-quality wooden pencils and puzzle, and a bag for your own beach clean. My 12 year-old Muddy (who appropriately wants to be a marine biologist when she grows up) was very impressed. I loved it here and want to go back and try everything else on the menu. Later I found myself thinking, ‘I must eat more fish’ though that could be the not-so subliminal messages on the wall saying, ‘Eat more fish’. Good for: families (of all ages including those with babes in highchairs and toddlers who’ll enjoy watching the ducks out the window), excellent for couples, nights out with the girls over wine and cocktails, business lunches, fish-lovers and gourmands, dog walkers (provided you observe the ‘paws on the floors’ policy). Not for: fish haters (obvs) though there are non-fish options, including chicken, interesting salads, soy burger, plus the whole menu is available gluten-free. The damage: Starters are around the £6.95- £12 mark; mains are £14-£19 with classic fish and chips at £13.95 and you get unlimited chips. Childrens menu £7.95 inc dessert and kids’ pack.